TDS means Tax Deducted at Source. 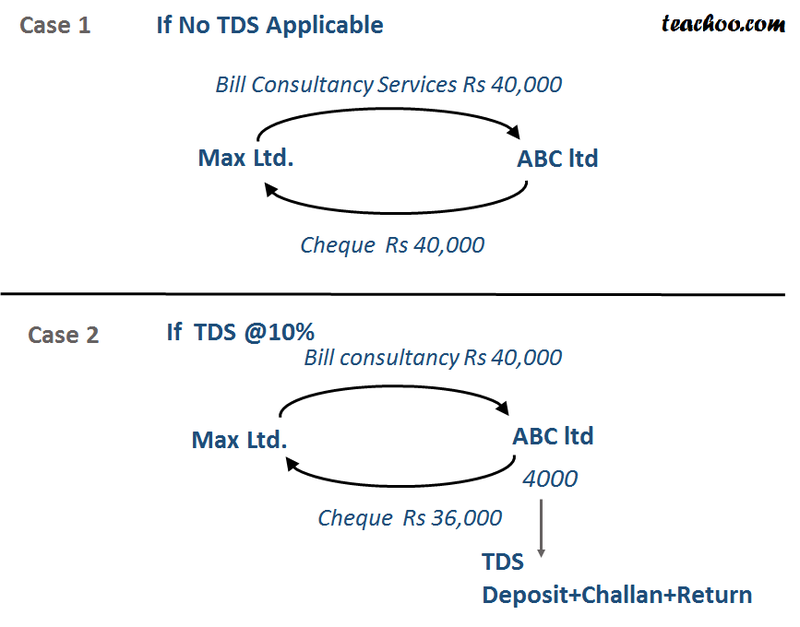 As per Income Tax Act, persons responsible for making payments are required to deduct TDS at different rates. In this case,ABC will pay Max Rs 40000.